august is a design studio. We create ceramics, design objects for everyday use, work with photography. We first started to talk about our cooperation in August; lazy, hot and calm. We both decided that careful observation of human beings and their surroundings, the functionality of objects, and above all, the simple joys will become the core of our design philosophy. Our goal is to create beautiful, modern objects, however, we use traditional techniques. While collaborating with craftsmen, we make sure that both sides learn something from each other. Those August days, as well as the figure of August Sander, a photographer from the turn of the nineteenth century, whose works were inspired by a human being and the material world, gave a name to our studio and defined our attitude to work. August is patient, explores the surroundings, and shares joy and beauty. Irina Grishina, born in 1988 in Petropavlovsk-Kamchatsky. Irina is a graduate in economics from the Russian Foreign Trade Academy. She has been working with photography for many years, which brought her to Poland in 2012. After winning an international scholarship, she began studying design at the School of Form in Poznań. Her background in photography has been influential in her work as a designer and has helped her to observe the world and people’s behaviour, as well as transmit that observations into projects. Ceramics occurred by accident; she raved about its tactility, both in the process of making and as an end product. In her works, she combines functionality, which is one of the principles of design, and beauty understood as harmony, balance and simplicity. Olga Milczyńska, born in 1982 in Zabrze. Olga is a lecturer at the School of Form in Poznań. She is a graduate of the Bachelor programme at the Ceramics Department of The Royal Danish Academy of Fine Arts and Master programme at the University of Arts in Poznań. Olga has developed practical knowledge working as assistance for potters in Great Britain, France, Denmark and Korea. As an artist, she has participated in many international and national exhibitions. In her work, she takes on the subjects of time, tradition and craftsmanship, balancing on the verge of art and design. For the past two years she has been collaborating with the Pottery Centre in Medynia Głogowska (Poland) on preserving disappearing artistic craftsmanship. 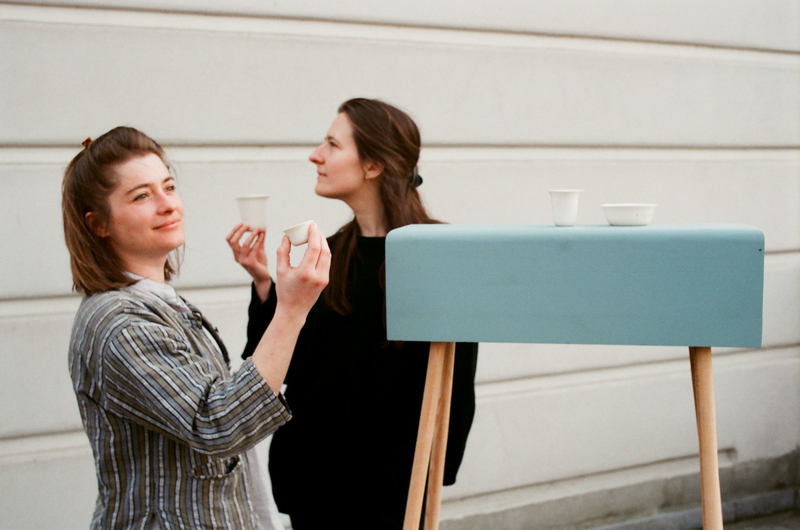 In August 2015 Irina and Olga decided to open design studio called august.